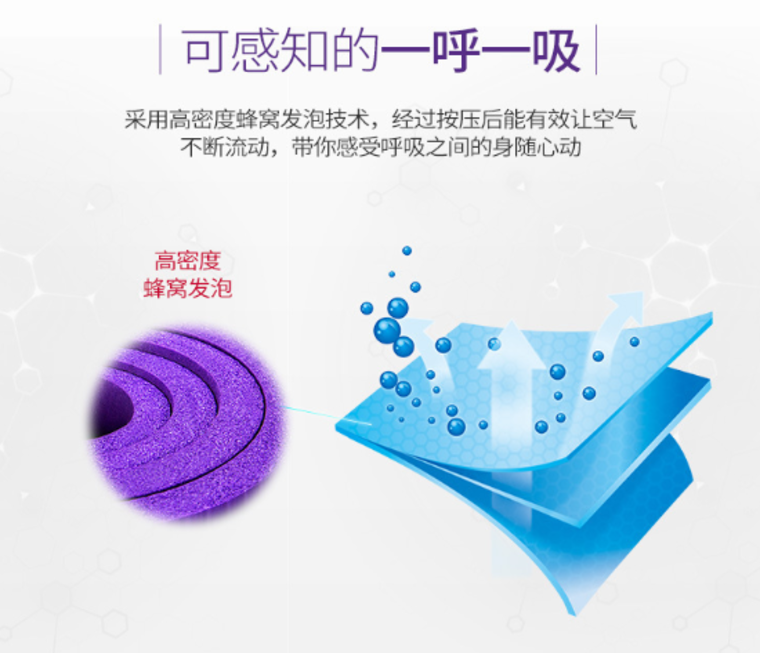 Hefei Tiancai Mouse Pad Co., Ltd. was established in 2011. It specializes in natural rubber production and processing. 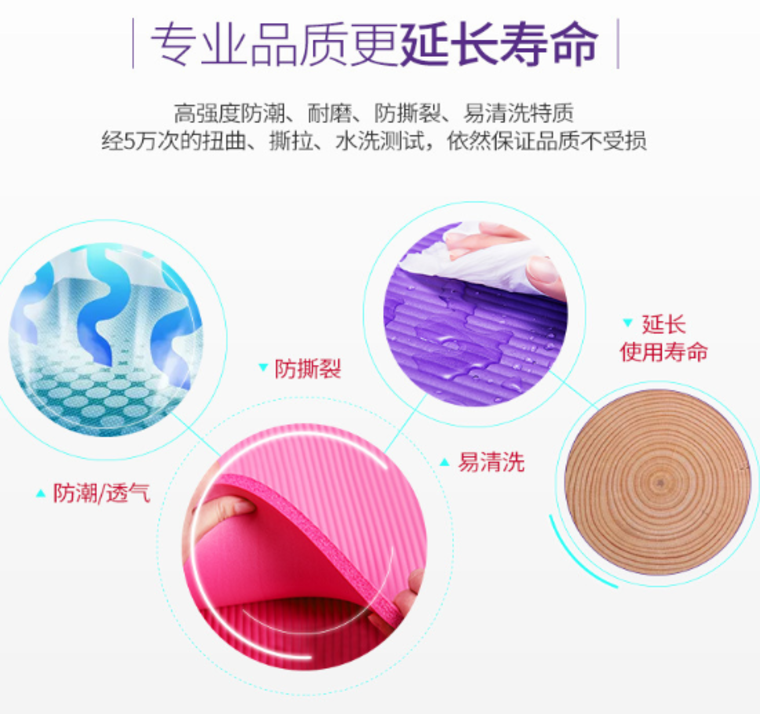 Its products include: mouse pad, yoga mat, floor mat, table mat and other products. The company is integrated with design, printing and sales. 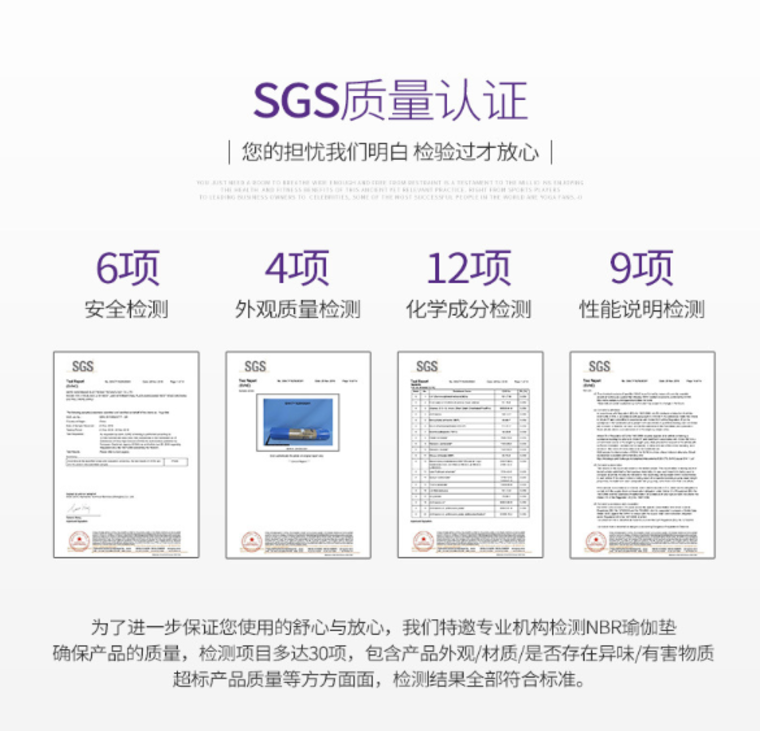 The company has complete, Scientific quality management system. Over the years, our factory has "survived by quality" and "developed by credit". With excellent quality, good reputation, quality service and reasonable price, we will continue to expand the market. 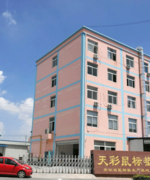 The company has a registered capital of 20 million yuan, a factory area of ​​7,000 square meters, an office area of ​​500 square meters, and an employee dormitory of 1,000 square meters. The company currently has about 7 million fixed assets. The factory has more than 100 employees, including 7 management and 10 business sales. There are 3 technical research and development, the business is still expanding, and the staff is still increasing. At present, the company's production and operation of a variety of specifications, models of mouse pads, game pads, table mats, mats, yoga mats and other products, not only sold well in the provinces, cities, counties, but also with foreign trade companies exported to Southeast Asia, Africa In more than 30 countries and regions, the company introduced Taiwan's complete set of natural rubber foaming lines, Heidelberg 4-color printing machine equipment, Taiwan cutting equipment and full brake packaging equipment. At present, the domestic equipment supporting facilities are the most complete manufacturers. 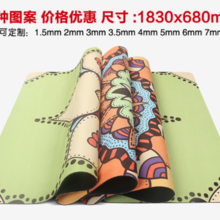 There are only a handful of industries, Nissan's natural rubber coils of 10,000 square meters, various specifications of mouse pads 150,000, and yoga mats of 2000, fully satisfying domestic large-scale orders, according to the order quantity in the specified time quality and quantity. Our customers are distributed in many industries at home and abroad, including government agencies, enterprise groups, well-known e-commerce retail platforms, hotel chains, foreign trade companies, advertising companies, gift companies, consumables sales and other companies. The company has established close and good cooperative relations with many companies such as: Lenovo Computer, Dell Computer, Xingui Mouse, Ning American, Xiaomi Mobile, Samsung Electronics, Post Express Logistics, Anhui Tuberculosis Control Research Institute, Air Ticketing Company, Zhongwo Beverage, Dongpeng Special Drink, China Mobile, China Telecom, China Unicom, and other companies in and outside the province are responsible for designing, printing promotional activities, social publicity advertising, corporate internal cultural propaganda and other gift mouse pads. [en] [name]: NBR yoga mat, multi-functional sports mat [material]: high-density NBR (nitrile rubber) [Features]: has good resilience, flatness, slip resistance; high density NBR, excellent thermal insulation performance, effective It blocks the cold and moisture on the ground; it is light in weight, small in size, easy to carry and aesthetic, and can be used on both sides. 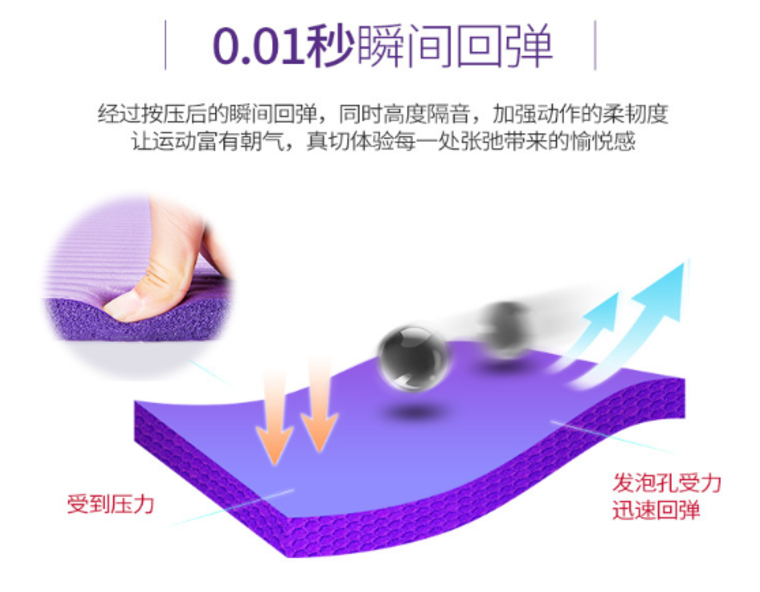 This flat material is superior in texture, soft to the touch, free of stimulating chemicals, environmentally friendly and tasteless, not allergic to the human body, safe and comfortable [Use]: This product is suitable for yoga studios and families. Exercisers can do various yoga exercises, Pilates, aerobics, sit-ups, push-ups, etc. on the mat, and can also be used for outdoor picnic gatherings, camping, beach vacations, BABY crawling, children games, elderly fitness. The time to pave the way. [Product size]: 183*61*1.0cm [Product color]: purple, blue, red, rose, green, can be customized according to customer needs. [nombre]: estera de yoga NBR, estera deportiva multifuncional [material]: NBR de alta densidad (caucho de nitrilo) [Características]: tiene buena resistencia, planitud, resistencia al deslizamiento; NBR de alta densidad, excelente rendimiento de aislamiento térmico, efectivo Bloquea el frío y la humedad en el suelo, es ligero en peso, pequeño en tamaño, fácil de transportar y estético, y puede usarse en ambos lados. 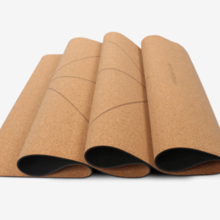 Este material plano es superior en textura, suave al tacto, libre de químicos estimulantes, respetuoso con el medio ambiente y sin sabor, no alérgico al cuerpo humano, seguro y cómodo [Uso]: este producto es adecuado para estudios de yoga y familias. Los deportistas pueden hacer varios ejercicios de yoga, Pilates, ejercicios aeróbicos, abdominales, flexiones, etc. en la colchoneta, y también pueden usarse para reuniones de picnic al aire libre, acampar, vacaciones en la playa, gatear con BABY, juegos para niños y personas mayores. El tiempo para allanar el camino. [Tamaño del producto]: 183 * 61 * 1.0 cm [Color del producto]: púrpura, azul, rojo, rosa, verde, se puede personalizar según las necesidades del cliente. [name]: NBR yoga mat, multi-functional sports mat [material]: high-density NBR (nitrile rubber) [Features]: has good resilience, flatness, slip resistance; high density NBR, excellent thermal insulation performance, effective It blocks the cold and moisture on the ground; it is light in weight, small in size, easy to carry and aesthetic, and can be used on both sides. 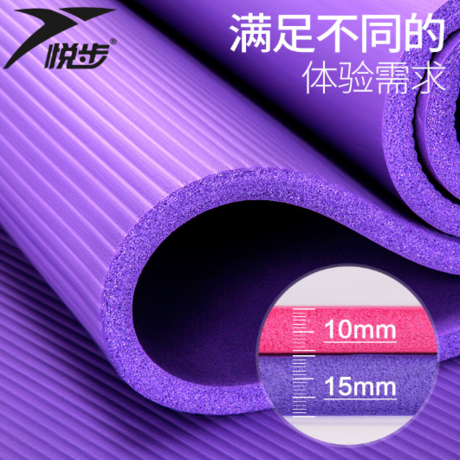 This flat material is superior in texture, soft to the touch, free of stimulating chemicals, environmentally friendly and tasteless, not allergic to the human body, safe and comfortable [Use]: This product is suitable for yoga studios and families. Exercisers can do various yoga exercises, Pilates, aerobics, sit-ups, push-ups, etc. on the mat, and can also be used for outdoor picnic gatherings, camping, beach vacations, BABY crawling, children games, elderly fitness. The time to pave the way. [Product size]: 183*61*1.0cm [Product color]: purple, blue, red, rose, green, can be customized according to customer needs. 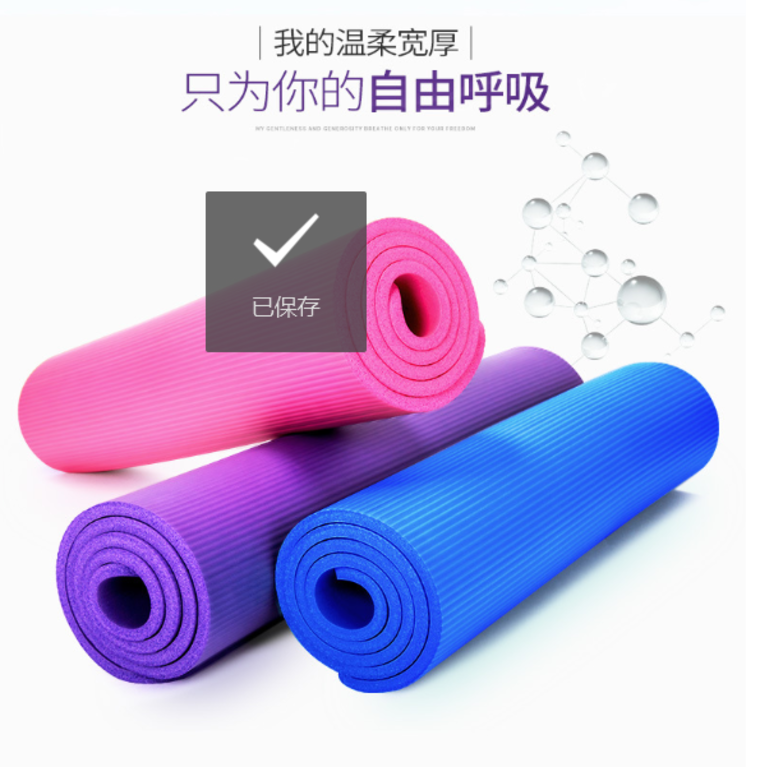 [nom]: tapis de yoga NBR, tapis de sport multifonctionnel [matériau]: NBR haute densité (caoutchouc nitrile) [Caractéristiques]: bonne résilience, planéité, résistance au glissement; NBR haute densité, excellente performance d'isolation thermique, efficace Il bloque le froid et l'humidité sur le sol, il est léger, de petite taille, facile à transporter et esthétique, et peut être utilisé des deux côtés. Ce matériau plat est de texture supérieure, doux au toucher, exempt de produits chimiques stimulants, écologique et insipide, non allergique au corps humain, sûr et confortable [Utilisation]: Ce produit convient aux studios de yoga et aux familles. Les pratiquants peuvent faire divers exercices de yoga, pilates, aérobic, sit-ups, tractions sur le tapis, etc. Le temps d'ouvrir la voie. [Taille du produit]: 183 * 61 * 1,0 cm [Couleur du produit]: violet, bleu, rouge, rose, vert, peut être personnalisé en fonction des besoins du client. [tên]: Thảm tập yoga NBR, thảm thể thao đa chức năng [vật liệu]: NBR mật độ cao (cao su nitrile) [Tính năng]: có khả năng đàn hồi tốt, độ phẳng, chống trơn trượt, NBR mật độ cao, hiệu suất cách nhiệt tuyệt vời, hiệu quả Nó ngăn chặn lạnh và độ ẩm trên mặt đất, nó là trọng lượng nhẹ, kích thước nhỏ, dễ mang theo và thẩm mỹ, và có thể được sử dụng trên cả hai mặt. Vật liệu phẳng này cao cấp trong kết cấu, mềm mại khi chạm vào, không có hóa chất kích thích, thân thiện với môi trường và không vị, không gây dị ứng cho cơ thể con người, an toàn và thoải mái [Sử dụng]: Sản phẩm này phù hợp cho các studio yoga và gia đình. Các học viên có thể tập các bài tập yoga khác nhau, Pilates, thể dục nhịp điệu, sit-up, push-up, vv trên thảm, và cũng có thể được sử dụng cho các buổi picnic ngoài trời, cắm trại, nghỉ bãi biển, BÉ bò, trò chơi trẻ em, tập thể dục già. Thời gian để mở đường. [Kích thước sản phẩm]: 183 * 61 * 1.0cm [sản phẩm màu]: màu tím, màu xanh, màu đỏ, hoa hồng, màu xanh lá cây, có thể được tùy chỉnh theo nhu cầu của khách hàng. [nazwa]: mata do jogi NBR, wielofunkcyjna mata sportowa [materiał]: NBR o dużej gęstości (kauczuk nitrylowy) [Cechy]: ma dobrą sprężystość, płaskość, antypoślizgowość, NBR o wysokiej gęstości, doskonałą izolacyjność termiczną, skuteczność Blokuje zimno i wilgoć na ziemi, jest lekki, mały, łatwy do przenoszenia i estetyczny i może być używany po obu stronach. Ten płaski materiał ma lepszą konsystencję, jest miękki w dotyku, wolny od stymulujących chemikaliów, przyjazny dla środowiska i pozbawiony smaku, nie uczula na ludzkie ciało, jest bezpieczny i wygodny [Use]: ten produkt jest odpowiedni dla studiów jogi i rodzin. Ćwiczący mogą wykonywać różne ćwiczenia jogi, Pilates, aerobik, przysiady, pompki itp. Na macie, a także mogą być wykorzystywane do pikników na świeżym powietrzu, campingów, wakacji na plaży, indeksowania BABY, gier dla dzieci, starszych fitness. Czas utorować drogę. [Rozmiar produktu]: 183 * 61 * 1.0cm [kolor produktu]: fioletowy, niebieski, czerwony, różowy, zielony, można dostosować do potrzeb klienta. [navn]: NBR yoga mått, multifunktions sportemåtte [materiale]: NBR (nitrilgummi) med høj densitet [Egenskaber]: har god modstandsdygtighed, fladhed, glidebestandighed, NBR med høj densitet, fremragende varmeisoleringsevne, effektiv Det blokerer forkølelsen og fugt på jorden, den er let i vægt, lille i størrelse, nem at bære og æstetisk og kan bruges på begge sider. Dette flade materiale er overlegen i tekstur, blød til berøring, fri for stimulerende kemikalier, miljøvenlig og smagløs, ikke allergisk over for kroppen, sikker og behagelig. [Anvend]: Dette produkt er egnet til yoga-studier og familier. Trænerne kan gøre forskellige yoga øvelser, Pilates, aerobic, sit-ups, push-ups osv. På måtten, og kan også bruges til udendørs picnic sammenkomster, camping, strand ferier, BABY gennemsøgning, børne spil, ældre fitness. Tiden til at bane vejen. [Produktstørrelse]: 183 * 61 * 1.0cm [Produktfarve]: Lilla, Blå, Rød, Rose, Grøn, Kan tilpasses efter kundens behov. [nama]: matriks yoga NBR, tikar sukan pelbagai fungsi [bahan]: NBR berketumpatan tinggi (getah nitril) [Ciri-ciri]: mempunyai ketahanan yang baik, kebosanan, rintangan slip; NBR ketumpatan tinggi, prestasi penebat haba yang sangat baik Ia menghalang sejuk dan kelembapan di atas tanah; ia ringan, kecil dalam saiz, mudah dibawa dan estetik, dan boleh digunakan di kedua-dua belah pihak. Bahan rata ini lebih unggul daripada tekstur, lembut dan sentuhan, bebas dari bahan kimia yang merangsang, mesra alam dan tidak enak, tidak alah kepada tubuh manusia, selamat dan selesa [Penggunaan]: Produk ini sesuai untuk studio yoga dan keluarga. Latihan boleh melakukan pelbagai latihan yoga, pilates, aerobik, tempat duduk, push-up, dan lain-lain di atas tikar, dan juga boleh digunakan untuk perhimpunan berkelah luar, berkhemah, percutian pantai, bayi merangkak, permainan kanak-kanak, kecergasan tua. Masa untuk membuka jalan. [Saiz produk]: 183 * 61 * 1.0cm [Warna Produk]: ungu, biru, merah, mawar, hijau, boleh disesuaikan mengikut keperluan pelanggan. [이름] : NBR 요가 매트, 다기능 스포츠 매트 [재질] : 고밀도 NBR (니트릴 고무) [특징] : 양호한 탄력성, 평탄도, 미끄러짐 저항성, 고밀도 NBR, 우수한 단열 성능, 효과적 그것은 지상의 춥고 습기를 막아 주며 무게가 가볍고 크기가 작으며 들고 다니기 쉽고 미적이며 양면에서 사용할 수 있습니다. 이 평평한 소재는 촉감이 부드럽고 촉감이 뛰어나며 자극성 화학 물질이없고 환경 친화적이고 맛도 좋으며 인체에 알레르기가없고 안전하고 편안합니다. [사용] :이 제품은 요가 스튜디오 및 가족에게 적합합니다. 운동가는 매트에 다양한 요가 운동, 필라테스, 에어로빅, 윗몸 일으키기, 팔 굽혀 펴기 등을 할 수 있으며 야외 피크닉 모임, 캠핑, 해변 휴가, 아기 크롤링, 어린이 게임, 노인 운동에도 사용할 수 있습니다. 길을 닦을 시간이야. [제품 크기] : 183 * 61 * 1.0cm [제품 색상] : 보라색, 파란색, 빨간색, 장미, 녹색, 고객의 요구에 따라 사용자 정의 할 수 있습니다. [nome]: tappetino da yoga NBR, tappetino sportivo multifunzionale [materiale]: NBR ad alta densità (gomma nitrilica) [Caratteristiche]: ha una buona resilienza, planarità, resistenza allo scivolamento, NBR ad alta densità, eccellenti prestazioni di isolamento termico, efficacia Blocca il freddo e l'umidità sul terreno, è leggero, di piccole dimensioni, facile da trasportare ed estetico e può essere utilizzato su entrambi i lati. Questo materiale piatto ha una struttura superiore, morbido al tatto, privo di sostanze chimiche stimolanti, ecologico e insapore, non allergico al corpo umano, sicuro e confortevole [Utilizzo]: Questo prodotto è adatto per studi di yoga e famiglie. Gli atleti possono fare vari esercizi di yoga, pilates, aerobica, sit-up, flessioni, ecc. Sul tappeto, e possono anche essere usati per incontri all'aperto, campeggio, vacanze al mare, BABY crawling, giochi per bambini, fitness anziano. Il tempo di spianare la strada. [Dimensioni del prodotto]: 183 * 61 * 1.0 cm [Colore prodotto]: viola, blu, rosso, rosa, verde, può essere personalizzato in base alle esigenze del cliente. [Name]: NBR Yogamatte, multifunktionale Sportmatte [Material]: High-Density-NBR (Nitrilkautschuk) [Eigenschaften]: hat eine gute Elastizität, Ebenheit, Rutschfestigkeit, hohe Dichte NBR, hervorragende Wärmedämmung, wirksam Es blockiert die Kälte und Feuchtigkeit auf dem Boden, es ist leicht, klein, leicht zu tragen und ästhetisch und kann auf beiden Seiten verwendet werden. Dieses flache Material ist überlegen in der Textur, weich im Griff, frei von stimulierenden Chemikalien, umweltfreundlich und geschmacksneutral, nicht allergisch auf den menschlichen Körper, sicher und komfortabel [Verwendung]: Dieses Produkt ist geeignet für Yoga-Studios und Familien. Trainierende können verschiedene Yoga-Übungen, Pilates, Aerobic, Sit-ups, Liegestütze, etc. auf der Matte, und kann auch für Picknick im Freien, Camping, Strandurlaub, BABY Krabbeln, Kinderspiele, ältere Fitness. Die Zeit, um den Weg zu ebnen. [Produktgröße]: 183 * 61 * 1.0cm [Produktfarbe]: lila, blau, rot, rosa, grün, kann nach Kundenwunsch angepasst werden. [اسم]: NBR حصيرة اليوغا ، حصيرة رياضية متعددة الوظائف [المواد]: NBR عالية الكثافة (مطاط النتريل) [ميزات]: لديه مرونة جيدة ، والتسطيح ، مقاومة الانزلاق ؛ NBR عالية الكثافة ، أداء العزل الحراري الممتاز ، فعالة يحجب البرد والرطوبة على الأرض ؛ فهو خفيف الوزن وصغير الحجم ويسهل حمله وجماليته ، ويمكن استخدامه على كلا الجانبين. هذه المادة المسطحة هي متفوقة في الملمس ، لينة على اتصال ، خالية من المواد الكيميائية المحفزة ، صديقة للبيئة والمذاق ، لا حساسية لجسم الإنسان ، آمنة ومريحة [الاستخدام]: هذا المنتج مناسب لاستوديوهات اليوغا والعائلات. يمكن لممارسي التمارين القيام بتمارين اليوغا المختلفة ، والتمارين الرياضية ، والتمارين الرياضية ، وجلسات الاعتصام ، وتمارين الضغط ، وما إلى ذلك على الحصيرة ، ويمكن أيضًا استخدامها للتجمعات في الهواء الطلق ، والتخييم ، وعطلات الشاطئ ، وزحف الطفل ، وألعاب الأطفال ، واللياقة البدنية للمسنين. الوقت لتمهيد الطريق. [حجم المنتج]: 183 * 61 * 1.0cm [لون المنتج]: الأرجواني ، الأزرق ، الأحمر ، روز ، الأخضر ، يمكن تخصيصها وفقا لاحتياجات العملاء. [nome]: Tapete de yoga NBR, tapete esportivo multifuncional [material]: NBR (borracha de nitrilo) de alta densidade [Características]: possui boa resiliência, nivelamento, resistência ao escorregamento; alta densidade NBR, excelente desempenho de isolamento térmico, eficácia Bloqueia o frio e a umidade no solo, é leve, pequeno, fácil de transportar e estético, e pode ser usado em ambos os lados. Este material plano é superior em textura, macio ao toque, livre de produtos químicos estimulantes, ambientalmente amigável e sem sabor, não é alérgico ao corpo humano, seguro e confortável [Uso]: Este produto é adequado para estúdios de ioga e famílias. Exercitadores podem fazer vários exercícios de yoga, Pilates, aeróbica, abdominais, flexões, etc. na esteira, e também podem ser usados ​​para reuniões de piquenique ao ar livre, camping, férias de praia, rastejando BABY, jogos infantis, fitness idosos. A hora de preparar o caminho. [Tamanho do produto]: 183 * 61 * 1.0cm [cor do produto]: roxo, azul, vermelho, rosa, verde, pode ser personalizado de acordo com as necessidades do cliente. [namn]: NBR yoga matta, multifunktionell sportmatta [material]: NBR (nitrilgummi) med hög densitet [Egenskaper]: har god motståndskraft, jämnhet, glidmotstånd, hög densitet NBR, utmärkt värmeisoleringsprestanda, effektiv Det blockerar kyla och fukt på marken, den är lätt i vikt, liten i storlek, lätt att bära och estetisk, och kan användas på båda sidor. Detta plana material är överlägsen i textur, mjuk vid beröring, fri från stimulerande kemikalier, miljövänlig och smaklös, inte allergisk mot människokroppen, säker och bekväm. [Använd]: Denna produkt är lämplig för yoga-studior och familjer. Tränare kan göra olika yogaövningar, Pilates, aerobics, sit-ups, push-ups, etc. på mattan, och kan även användas för utomhuspicknickmöten, camping, strandresor, BABY-krypning, barnspel, äldre fitness. Tiden att bana vägen. [Produktstorlek]: 183 * 61 * 1.0cm [Produktfärg]: Lila, Blå, Röd, Röd, Grön, Kan anpassas efter kundens behov. [имя]: циферблат NBR для йоги, многофункциональный спортивный коврик [материал]: NBR с высокой плотностью (нитриловая резина) [Особенности]: имеет хорошую упругость, плоскостность, сопротивление скольжению, NBR с высокой плотностью, отличную теплоизоляцию, эффективную Он блокирует холод и влагу на земле, он легкий по весу, небольшой по размеру, легко переносимый и эстетичный, и может использоваться с обеих сторон. Этот плоский материал превосходит по текстуре, мягкий на ощупь, без стимулирующих химических веществ, безвреден для окружающей среды и безвкусен, не вызывает аллергию на организм человека, безопасен и удобен. [Использование]: этот продукт подходит для йога-студий и семей. Тренировочные упражнения могут выполнять различные упражнения йоги, пилатес, аэробику, приседания, отжимания и т. Д. На коврике, а также могут использоваться для проведения пикников на открытом воздухе, кемпинга, пляжных каникул, ползания для мальчиков, детских игр, пожилой фитнеса. Время проложить путь. [Размер продукта]: 183 * 61 * 1.0 см [Цвет продукта]: фиолетовый, синий, красный, розовый, зеленый, может быть настроен в соответствии с потребностями клиента. [navn]: NBR yoga matte, multifunksjons sportsmatte [materiale]: NBR (nitrilgummi) med høy tetthet [Funksjoner]: har god motstandskraft, flathet, glidebestandighet, høy tetthet NBR, utmerket termisk isolasjonsevne, effektiv Den blokkerer kulde og fuktighet på bakken, den er lett i vekt, liten i størrelse, lett å bære og estetisk, og kan brukes på begge sider. Dette flate materialet er overlegen i tekstur, myk til berøring, fri for stimulerende kjemikalier, miljøvennlig og smakløs, ikke allergisk mot menneskekroppen, trygg og komfortabel. [Bruk]: Dette produktet passer for yoga-studioer og familier. Trenere kan gjøre ulike yoga øvelser, pilates, aerobic, sit-ups, push-ups, etc. på matten, og kan også brukes til utendørs piknik sammenkomster, camping, strand ferier, BABY crawling, barn spill, eldre fitness. Tiden til å bane vei. [Produktstørrelse]: 183 * 61 * 1.0cm [Produktfarge]: Lilla, Blå, Rød, Rose, Grønn, Kan tilpasses etter kundens behov.